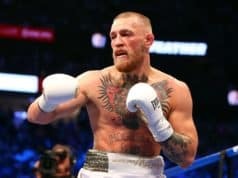 UFC featherweight Conor McGregor discusses his studies of movement, including the time that two homeless Venice Beach men taught him how to do a muscle-up. 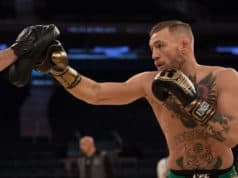 McGregor faces Chad Mendes in the main event of UFC 189 tonight, and he’ll need to be on point with his movements to stay away from ‘Money’s’ NCAA level wrestling. Watch the awesome Fightland Vice Moving Portraits video featuring Conor McGregor, and stay tuned to LowKickMMA during UFC 189 fight day! !